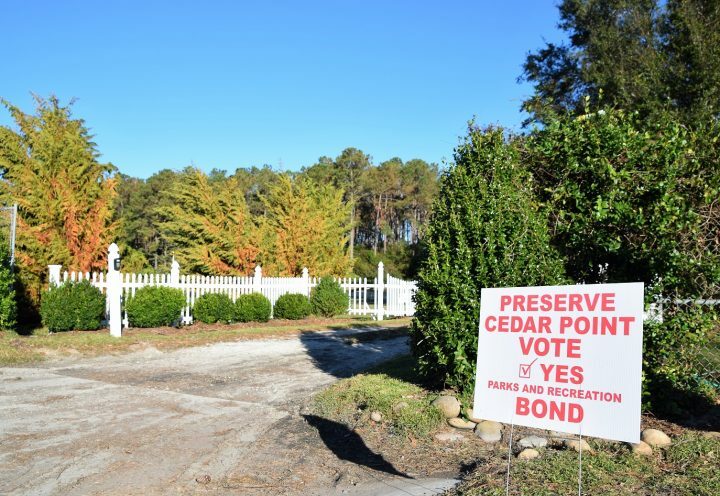 CEDAR POINT – Town residents have a choice on the ballot between a proposed town park that could require a tax increase or the possibility of 56 acres of waterfront property being developed and the effects that could have on water quality in the White Oak River. On the Nov. 6 ballot for voters in this western Carteret County town is a bond referendum for $2.5 million to purchase what many here know as the Masonic property. The adjacent 1855 Octagon House and the roughly 4 acres around the landmark are privately owned and not part of the town’s purchase, according to town officials. If the referendum passes, there could be a 3-cent tax increase per $100 valuation from the current 6.25 cents. The impetus behind the bond referendum was the town’s stated desire to increase recreational opportunities and preserve water quality. Christopher Seaberg, town administrator for Cedar Point, explained that the mayor and commissioners have been looking for recreation possibilities since the 2013 adoption of the Cedar Point Strategic Economic Development Plan, which listed recreation opportunities as one of the four goals for the town to pursue in its economic development strategy. 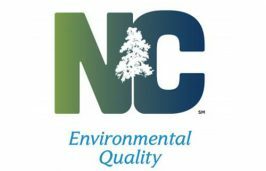 He added that Cedar Point has partnered with the North Carolina Coastal Federation, North Carolina Department of Transportation, University of North Carolina and East Carolina University on various water quality projects intended to help improve the White Oak River. “With those two focuses in mind, the Town of Cedar Point negotiated a purchase contract with Jones Masonic Campus, Inc. in the amount of $2,800,000 for this parcel. This purchase is intended to 1. Provide our citizens with a much needed town park and 2. Ensure that 56 acres of property fronted by the White Oak River is preserved and not impacting the water quality of the river,” Seaberg wrote in an email last week. At one time, the property was planned for an assisted-living facility after its owner, the late John Jones donated it with restrictions on its use to the Masonic Lodge in 1999. 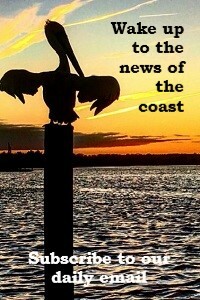 Seaberg detailed for Coastal Review Online the town’s finances and how the purchase would affect its budget. The town typically operates an annual budget of $650,000 to $700,000, so the purchase would require the town to incur debt at a level that would necessitate an estimated 3 cent tax increase, “at the most,” Seaberg explained. “Please note that Cedar Point has historically kept its tax rate at a conservative level, currently at 6.25 cents per $100 assessed value.” He said that compared to other municipalities in the area, Cedar Point’s property tax rate is the lowest. “So, with that focus, the mayor and board of commissioners felt it imperative to ask the citizens to weigh in on this project and the potential tax increase,” he said. Town commissioners, during the July 24 meeting, held a public hearing on the bond referendum. A few in attendance spoke in favor, according to the meeting minutes, although resident Sue Ross expressed concerns about the duration of the potential tax increase. She asked whether taxes would return to the current rate once the debt was repaid. Mayor Scott Hatsell explained during the meeting that the tax increase may not be necessary if the town secures grants in the amount needed to purchase the land. Ultimately, commissioners unanimously approved the resolution to hold the referendum. Cedar Point already has two parks within its town limits, but neither are owned or managed by the town. 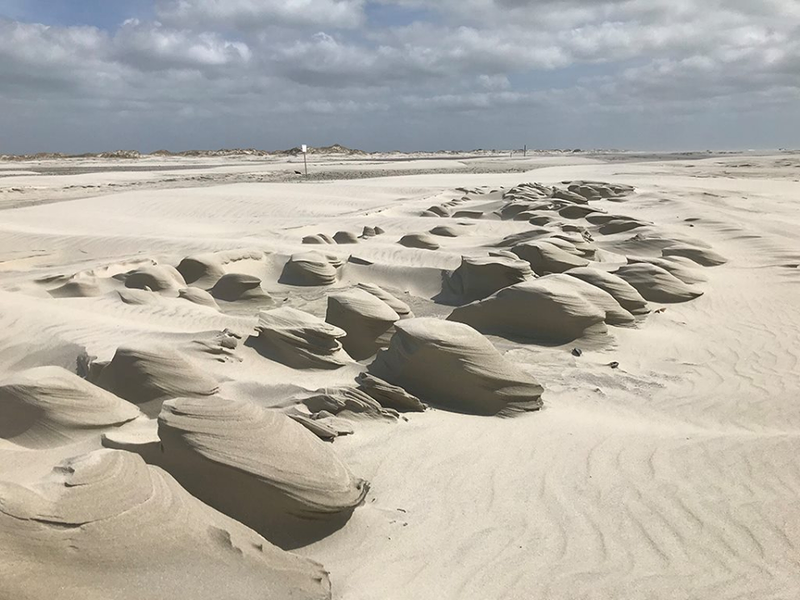 Western Park at 275 Old Highway 58 is owned and operated by Carteret County Parks and Recreation, and the Cedar Point Recreation Area at Forest Route 153A is owned and operated by the U.S. Forest Service. Town officials are pursuing various available funding opportunities but some grant application deadlines, including the one for the next round of Clean Water Management Trust Fund awards, are not until next year. “With the bond vote being held in November 2018, we are unable to ensure our citizens that these grant funds are in hand,” Seaberg said. If voters approve the referendum, the town will combine about $300,000 from its general fund with the $2.5 million bond to cover the $2.8 million purchase price and associated legal fees. Seaberg said the town has $10,000 in donations that will help offset the initial work involved in the purchase. Most of the feedback on the plan has been positive, but not everyone agrees, he said. “The negative feedback received have been focused on the potential tax increase. If the voters approve this request, the average taxpayer’s bill will only increase $90. That increase is the equivalent to $1.73 a week – the cost of a 20-ounce soda,” he said. 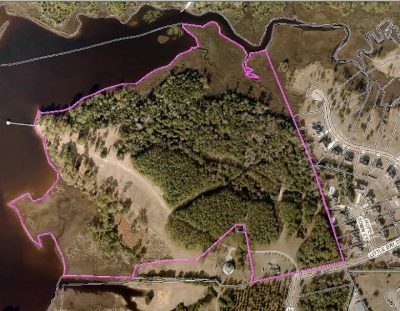 Of the total 56 acres, 18 acres are wetlands, which may be ideal for a nature trail, wildlife outlook or other recreational activities that won’t disturb the natural habitat. In addition to its natural features, the parcel has historic interest town officials seek to preserve. There is evidence that early Native American civilizations lived here, it was the site of a Civil War encampment and hospital and the family who lived on the property were among the founding members of Cedar Point and surrounding towns, according to the town website.